The culmination of autumn term at INA saw 317 Midshipmen and cadets take part in a spectacular passing out parade. 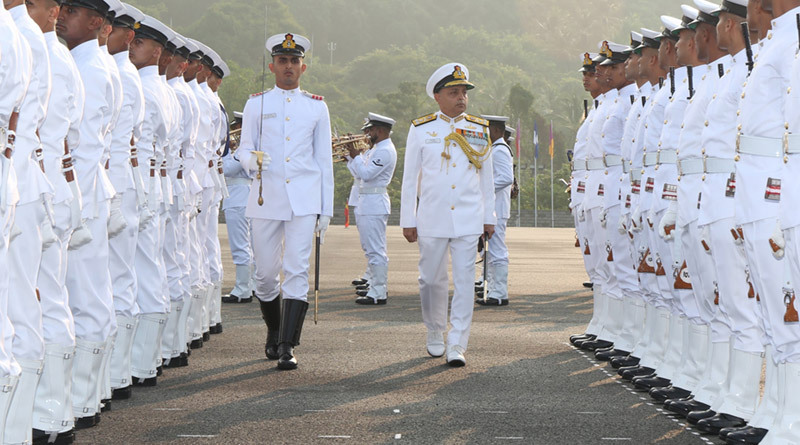 A spectacular Passing out Parade (POP) held on Monday 26 November saw the culmination of training for 317 Midshipmen and cadets of Indian Navy and Indian Coast Guard including one International cadet from Tanzania. The ceremony was held at Indian Naval Academy (INA), Ezhimala. The Midshipmen and cadets who passed out belonged to four different courses of Autumn Term 2018. 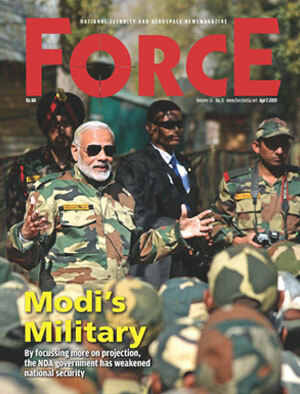 95 in the Indian Naval Academy Course (BTech), 95 in the Indian Naval Academy Course (MSc), 26 in the Naval Orientation Course (Extended) and 27 cadets in the Naval Orientation Course (Regular). The parade also saw the graduation of 16 women cadets who will join the Indian Navy and Coast Guard. Flag Officer Commanding-in-Chief, Southern Naval Command Vice Admiral Anil Kumar Chawla reviewed the parade. He also awarded medals to nine meritorious Midshipmen and cadets after the ceremonial review. The Reviewing Officer, in his address, congratulated the passing out courses and advised them to imbibe by the core values of Indian Navy “Duty, Honour and Courage”. Director, IIT Gandhinagar, Dr Sudhir K Jain, Commandant, INA, Vice Admiral RB Pandit, senior officers of the station and outstation dignitaries witnessed the momentous occasion. The Passing Out Parade was also witnessed by the proud parents and guardians of the Midshipmen and cadets who passed out. B.Tech course was awarded to Midshipman Vikrant Nagpal. The ‘Chief of the Naval Staff Gold Medal’ for the Naval Orientation (Extended) Course was awarded to Cadet Hrushikesh Vengurlekar. The ‘Chief of the Naval Staff Gold Medal’ for the Naval Orientation (Regular) Course was awarded to Cadet Samson Moses and the ‘Flag Officer Commanding in Chief (South) Medal’ for the best women cadet was awarded to Cadet Anuradha. Passing out courses were bid farewell by cadets of junior terms who manned the mast and a batch of three Naval Dornier Aircraft from Indian Naval Air Squadron 550 carried out a low fly past over the quarterdeck welcoming the new officers to the Navy. Once the parade was complete, parents and guardians of the Passing Out courses shipped the Naval, and Coast Guard, epaulettes, known as ‘Stripes’ on the shoulders of their wards, thus symbolising their transformation from ‘cadets’ into full-fledged Navy and Coast Guard Officers.